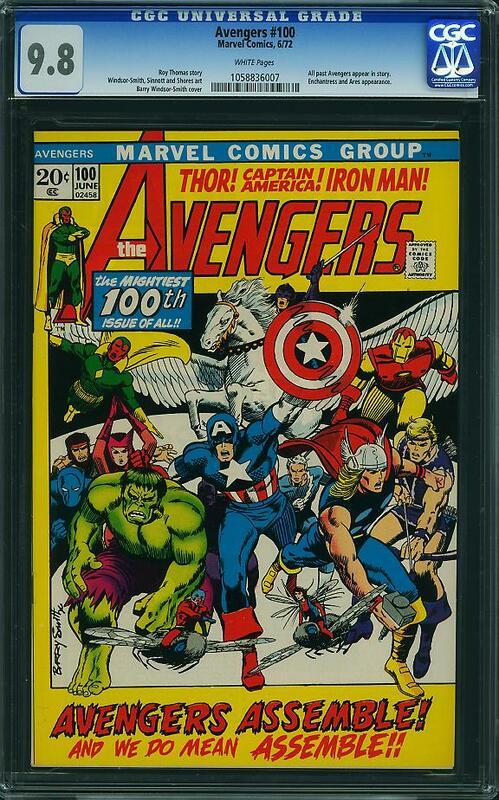 The comic book portion of ComicLink’s Winter Featured Auction ended Wednesday February 24th and there were some noteworthy results. The book that took top spot was a CGC 2.0 Action Comics #7, it earned an impressive $71,000. 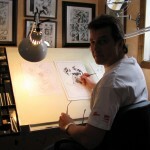 Second up was a CGC 6.5 All Star #8. I’d normally have a bone to pick with these results. Why should a CGC 2.0 7th appearance of Superman, 2nd Superman cover be worth more than a CGC 6.5 1st appearance of Wonder Woman? Is this the old boys club at work? There are 15 better graded Action #7s while there are only 10 better graded All Star #8s. The reason I’ll let it go this time is those darned Brittle Pages, nobody likes Brittle Pages. Let’s look at a few OK now to some results. 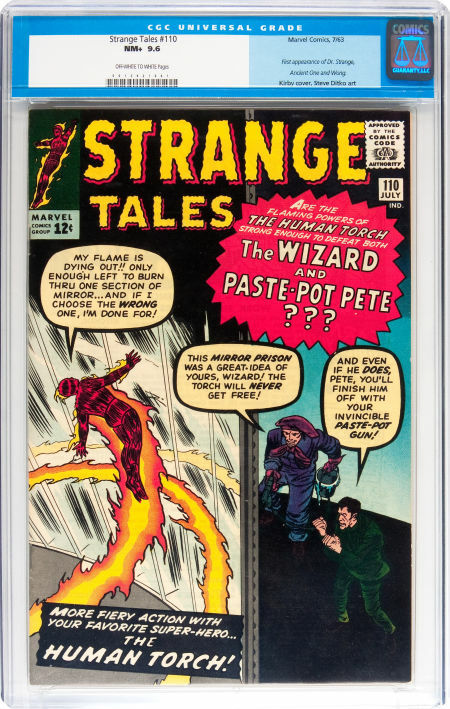 Fantastic Four #48, Marvel Comics, March 1966 Graded by CGC at 9.8 with White pages sold for $17,027.00. 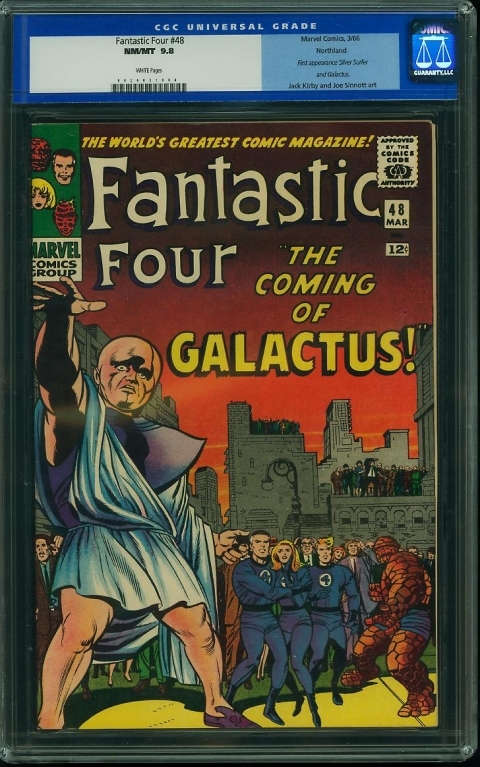 It’s easy to point to the recent price realized by a CGC 9.8 FF #52 (over $83,000) and cry foul but I think it all comes down to supply and demand. The demand for #52 is experiencing a severe boost thanks to all the spec around the upcoming Black Panther movies and cameos and the supply of FF #52 is way tighter at only 4 CGC 9.8 copies on the census, compare that with FF #48’s 29 copies at 9.8. All that said this book fetched marginally less than the last copy that sold a few months back. 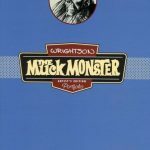 Basically the pool of top tier #48s is limited to 29 copies as of this sale, this copies White pages and the carrot that is the old CGC label will put this copy near the top of the heap. Scarcity of grade is delivered when you factor where this most likely sits within the grade. 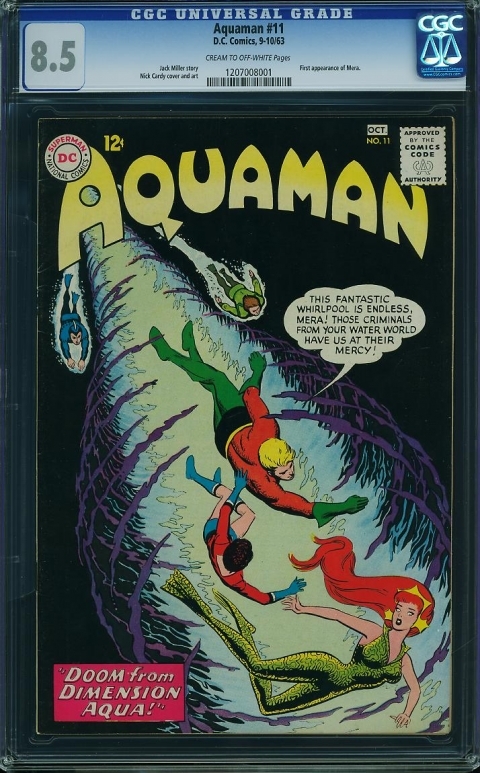 Aquaman 11, DC Comics, September/October 1963 Graded by CGC at 8.5 with Cream to Off White to White pages sold for $1,149.00. It’s like I’m at home. Nobody listens to me there either. We can’t be paying this much for books that have just recently heated up. The supply pipeline via CGC takes a long time and paying this much for a CGC 8.5 DC from late 1963 seems reactionary. Of the 41 graded copies there are 4 better on the census right now, I bet you there will be 41 better soon enough. To test my math I had a peek at Aquaman #1, there are 418 on the CGC census, so 10 times the supply – above 8.5 there are 39 copies so I think I’ve put in a good projection. At the end of the day it will depend on Mera. The book will go how Mera goes so lets hope. Mad #1, EC Comics, October/November 19520 Graded by CGC at 9.4 with Off White to White pages sold for $8,778.00. 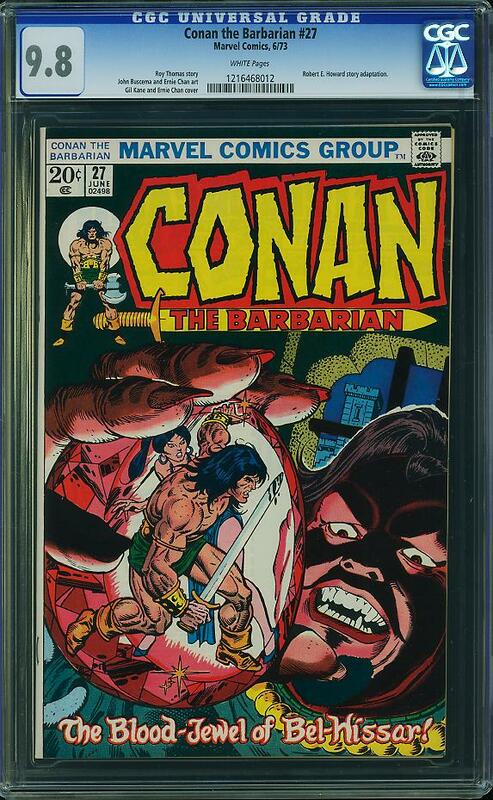 The last time a CGC 9.4 sold and was traced it got $12,000 so this must be a disappointing result for the seller. 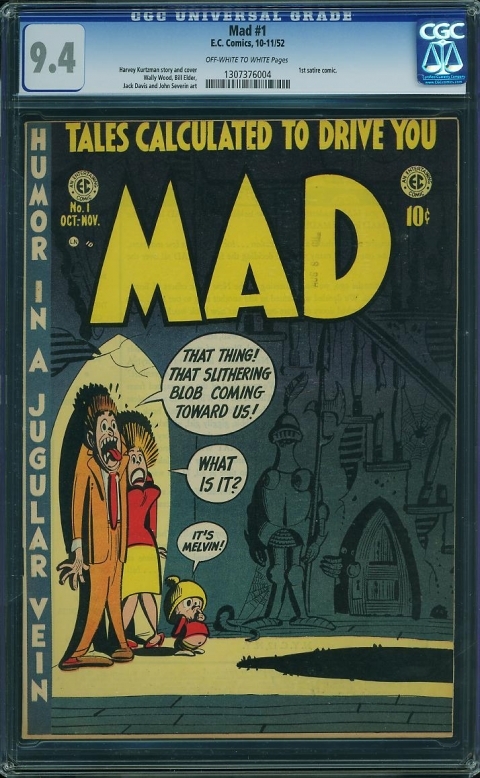 I like Mad #1, I think Mad Magazine has a good enough track record to secure itself as a notable pop culture phenomenon of the second half of the 20th century. There are only 7 copies graded higher than this one. 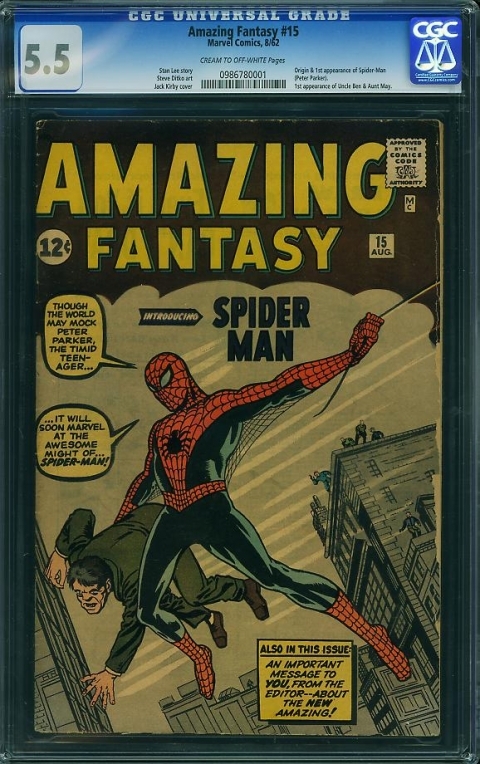 Amazing Fantasy #15, Marvel Comics, August 1962 Graded by CGC at 5.5 with Cream to Off White pages sold for $20,055.00. There’s been lots of talk about this result. I think it’s a one off. Looking at how well CGC 5.0s are doing and how much the last CGC 6.0 got (over $38,000). There may have been Momentary Fantasy Fatigue or as I like to call it mff. I think this is a good pick up for the buyer and a bit of bad timing for the seller. Flash #139, DC Comics, September 1963 Graded by CGC at 8.5 with White pages sold for $2,789.00. A copy in this grade recently sold for $1,225 so this result caught me by surprise. I respect Flash books from this era but I don’t think the 8.5 grade should be strong enough to support this price. There are 23 copies better already and there is only 263 graded and that’s not because there are non around. Early cover appearances of Superman in Action Comics have been building up considerable steam. Action #7 is pretty scarce with only one available on eBay in a 1.8 that looks like it was dunked in a pickle barrel. I tried to buy it for a few thousand less than the ask and was rebuffed. Meanwhile, a few years ago, Bill Hughes sold a very nice 4.0 for around $13,500. I would actually rather have the Action #7 than the All Star #8 regardless of the page quality. Wonder Woman has always been a laggard to Superman and now that they are finally getting around to bringing her to the big screen we are finally seeing an uptick in prices. While the WW books have arguably been undervalued, in the long run, I would bet on the Action #7 having the staying power. Plus, I just like Superman better. Thanks for contributing David. I’ve always been awed by 193o’s superheroes. The fact that most of these 1930’s superhero comics are 1939 comics makes this 1938 issue all the more impressive. 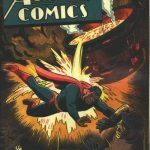 Is Superman the only 1938 hero? And the markets are backing your views. I will stick to my principle investing philosophy though and argue that the 1st appearance of a major character should be worth more more than the 7th appearance of another major character, scarcity being equal. Even factoring in that Superman is the more important creation. guys, the Action 7 is a rarer book—-but it all comes down to whether women Super Heroines will finally be accepted World Wide Icons —–That All-Star 8 has a lot of upside! 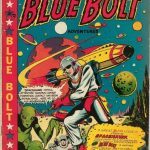 All pre 1964 comics are being and will continue to find homes! Dells, i predict will only gain in value as more collectors will discover the beauty and full range of output! Collectors all over the world want them ! Enjoy, and buy wisely. Comic Connect has an All Star #8 up for auction soon. Anyone wager a guess where it will end up selling? I have to reply on Aquaman #11 because I think you are missing several points. I just checked GPA, the CGC census, and eBay recent sales. On eBay a G/VG copy goes for about USD 100 and a (possibly) F+ copy went recently for USD 350. Conservatively add USD 50 for CGC; this gets you to USD 150 for 3.0 and USD 400 for 6.5, not too far from recent CGC-graded sales at these levels. And this is definitely conservative because a) as you point out, the CGC pipeline is very slow, so you are going to be held up for a long time getting a raw copy graded, and b) you have a lot of uncertainty about the grade you are going to receive – buying an already graded copy eliminates this. So I think adding a USD 100 premium (or more) for a graded copy is certainly reasonable if you are bullish. 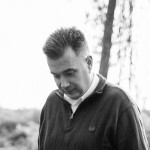 You are definitely right about books coming out – nearly all books in GPA show 2015 grading – but the point is that they have already done most of their appreciating without the grading. The next point is the population in the higher grades – this is a 1963 DC b-list title that was not viewed as key until recently, and it has a black cover. It is very hard for me to believe that there are scads of GCG 8.0+ copies waiting in the wings. This is bolstered by my argument about pre-grading prices – if there are so many, some should be offered raw because the seller would get most of the value in this state, but we’re not seeing them. Good luck finding a copy on eBay without tons of color breaks. 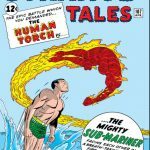 Finally I would look at what I would consider to be comparables: Batman #139 and Tales to Astonish #44. 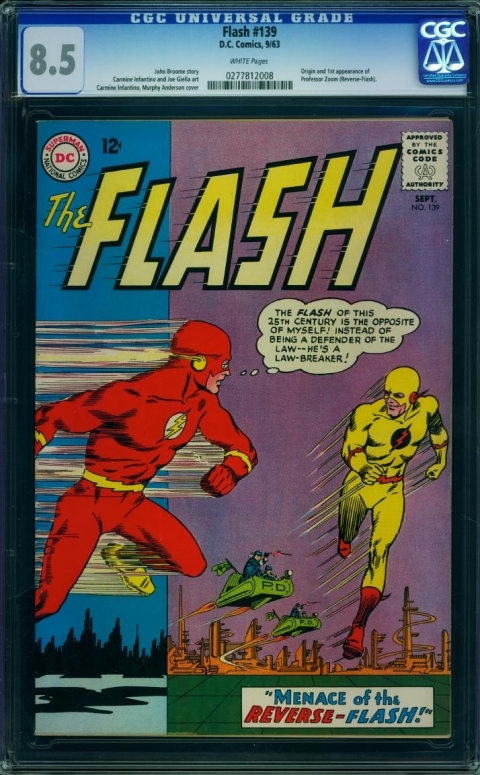 With the former you see a likely less key first appearance with a non-black cover from around the same time period – with a far larger population in high grade but with comparable prices. With the latter you see a book from almost the same date, with a population that Aquaman #11 won’t reach in ten years, with a very parallel theme (the hero’s spouse), and with prices 3x of what Aquaman #11 is fetching. I think there is clearly risk in a reversal due to the speed of the run-up, but I don’t think that it has anything to do with the number of ungraded copies out there. It has to do with the basic view of the book as a key. One more point – in looking at GPA, it turns out that the June 2015 sale of an Aquaman #11 in CGC 9.2 is an error – the book tracked is really Avengers #11. So that means there is no guidance on what one of the four copies currently graded above CGC 8.5 would bring.. Against your feelings, I would pay USD 2k for one of these in a heartbeat. Hey Chris, thanks for adding to the conversation. These are all great points you make and time may prove you right. My calls are made with the unwanted baggage of my biases and perceptions and it is refreshing to see someone challenge them with a different view and outlook.. I like your comparison to the other 2 books. It shows me that mentally I’ve limited Mera as to how far up the pop culture status ladder she could climb. Still, I can’t get past the thought of too many nice copies, laying dormant for all these years, being dusted off and sent down to Sarasota. Supply will soon go up, the only thing that can protect this result is for the growing demand to outpace it. Bought the real pretty Captain Marvel Adv. 8 CGC 8.5. It has a really nice WW2 cover. For years the Timely WWII covers were the cat’s meow and still are but I love how so many other great WWII covers from other publishers are enjoying a surge in value. And here’s a sleeper and it’s a book staring every one in the face for far to long! Showcase 3, Frogmen ! 2nd 0r 3rd DC War Greytone cover. And first Russ Heath Greytone cover! And scarce in any Grade, Rare in Upper Grade.! Stephen – I have a buddy who has quite a run of early Showcase and he has a low grade Showcase #3. A terrific cover. I do believe the cover is a Jerry Grandenetti work, and Russ Heath does the interior artwork. A cool book in any event. I don’t have a copy of Showcase in front of me Mike, but by memory i believe it’s a Heath cover! In any case it’s a bargain relative to those other Keys from #1-22. Note i say #1-22. Thru my experience , #23 @up are relatively easy to find in the whole run.